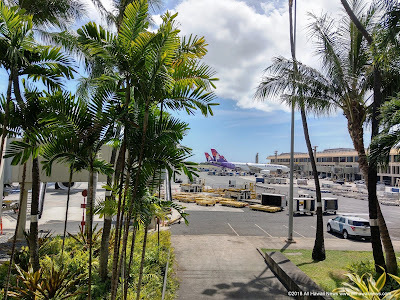 A Hawaii airports corporation might finally be approaching takeoff as a bill that aims to improve the efficiency of the state’s airports passes through the Legislature. Tribune-Herald. Lawmakers Approve $16B Budget For Fiscal 2020, 2021. State House and Senate legislators approved a two-year operating budget today calling for hundreds of millions of dollars for state employee retirement and health benefits and other monies to address major disasters, fight invasive species and maintain highways. Hawaii Public Radio. Push To Increase Spending On Schools Loses Momentum. Policymakers say more transparency about current spending is needed before more public money is earmarked for schools. Civil Beat. Hawaii’s film industry wants to eliminate tax credit cap to keep productions flourishing. Some say the state's newly imposed $35 million per year cap on the tax credits is causing producers to go elsewhere and is putting Hawaii's film industry in jeopardy. Hawaii News Now. PUC approves 6 additional solar-plus-storage systems in Hawaii. Three projects on Oahu, including one that has generated controversy because part of it is planned on prime agricultural land, one on Maui, and two on Hawaii island, are expected to add 247 megawatts of solar energy with almost 1 gigawatt-hour of storage to the grid. Star-Advertiser. State regulators approved the first phase of Hawaiian Electric Companies’ plan to manage its grids with the latest technology at a cost of $86.3 million, the utility announced Wednesday. For a typical residential customer, the estimated cost for the first phase would be an extra 24 cents a month on Oahu; 34 cents on Maui; 27 cents on Molokai and Lanai; and 55 cents a month on Hawaii Island. Star-Advertiser. State Reversing Rental Car Fee After Legal Snafu. The State Tax Office has notified 300 rental car companies that a law implemented at the beginning of the year is flawed and that a $2 fee must apply to tourists and residents alike. Hawaii Public Radio. Ozawa, Waters dispute campaign mailer. The rematch in the race for Honolulu’s City Council District 4 seat has become even more contentious as the two candidates trade accusations and make counterclaims. Star-Advertiser. Election officials ask the public to update voter registration. Honolulu's Election Administrator is responding to concerns by voters about ballots being sent to people who no longer live in the area or who've died. KHON2. Feds Want Testimony From Katherine Kealoha’s Aging Grandmother Before It’s Too Late. Florence Puana, a key witness in both the mail box and financial fraud trials, is 99 years old and now seriously ill and hospitalized. Civil Beat. State Ohana Zone Money Is Beginning To Produce Housing, Services. Catholic Charities is getting $7.5 million to develop a 78-unit facility to serve the homeless on the Leeward Coast. Civil Beat. EMS paramedics allowed to use medications that have expired up to a year. EMS paramedics have expressed their frustration with staffing shortages and old ambulances breaking down. KHON2. Homeless man who assaulted Hawaii sportscaster John Noland is sentenced to 5 years in prison. The homeless man who was found guilty of assault in connection with the death last June of Hawaii sports broadcaster John Noland apologized to Noland’s daughter in state court today. Star-Advertiser. A man convicted of assault in the beating that led to former sportscaster John Noland’s death was sentenced to five years in prison Wednesday. Hawaii News Now. Senate Committees move forward with plan to audit Hawaiian Humane Society. Resolution calls for audit of Hawaiian Humane Society's management and finances. KITV. Kim seeks 72 new employees. Despite concerns about the growing cost of county employees, Mayor Harry Kim’s proposed preliminary budget adds 72 new positions. West Hawaii Today. Denied A Hearing, Residents Take Puna Geothermal, State To Court. A group of Puna residents and one environmental group are appealing the denial of their request for a contested case hearing over a Puna Geothermal Venture permit renewal. Big Island Video News. Maui schools, roads, airport on track for state funds. Busy hammering out the final details of a two-year, $16 billion state general budget that is expected to be sent to Gov. David Ige this week, Maui County’s state lawmakers highlighted money set to be funneled Maui County’s way for schools, highways, the airport and environmental projects. Maui News. Kauai mayor bemoans collapse of Coco Palms effort. Like many Kauai residents, Mayor Derek Kawakami is not surprised that the latest plan to rebuild the long-shuttered Coco Palms Resort fell through. Star-Advertiser. The original Longhi’s Italian and seafood restaurant with its open doors and signature black and white tiles along Lahaina’s Front Street closed Tuesday after 43 years. Maui News. Longhi’s Lahaina closes its doors after more than 4 decades in business. After 43 years in business, a Lahaina restaurant has decided to close its doors. Hawaii News Now.